Amid the heavyweight competition, this 150mm square block charms through a directness of purpose and unassuming form. 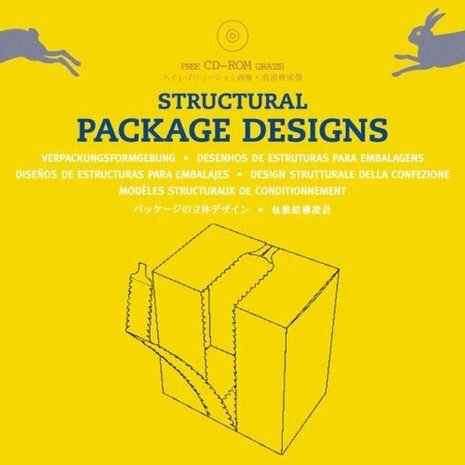 Other than a few supplementary sections, each page describes a unique packaging form by single flat template diagram, three-dimensional line drawing, and title. More Zen in its simplicity than the “minimalism” affected by current arts publishing, this book demonstrates the way a good idea designs itself. 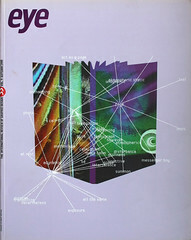 It would be nice to imagine this kind of publication replacing the ubiquitous hardback annuals, awards and other catalogues of “inspiration” in classrooms and studios as a true reference work, demonstrating how to articulate an idea without the usual obscuring veneer of style. The lessons are many: the clarity of the illustrations; the no-nonsense three-paragraph introduction repeated in seven languages; the genuinely useful appendices (details such as “typical limit for printing”); the thriftiness of format and colour that ensure its bargain price. The book’s general portrayal of the potential in design recalls the more specifically typographic tour-de-force handbooks of Bosshard (Technische Grundlagen zur Satzherstellung) and Gerstner (Kompendium fur Alphabeten). These books also share symbiosis of form and content, providing a sense that the ideas arrived as fully formed objects: it is difficult to imagine them existing in any other way. As a current surprise arts bookshop bestseller, this antidote to coffee-table fatigue is well positioned to promote intelligent design quietly.